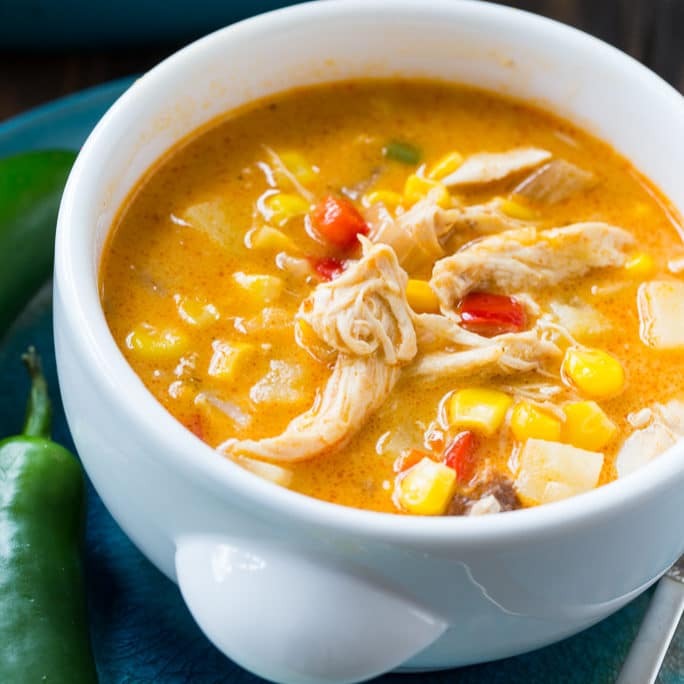 Spicy Chicken and Corn Chowder is loaded with chunks of chicken and lots of corn in a thick cream-based broth that’s full of spicy, smoky flavor. 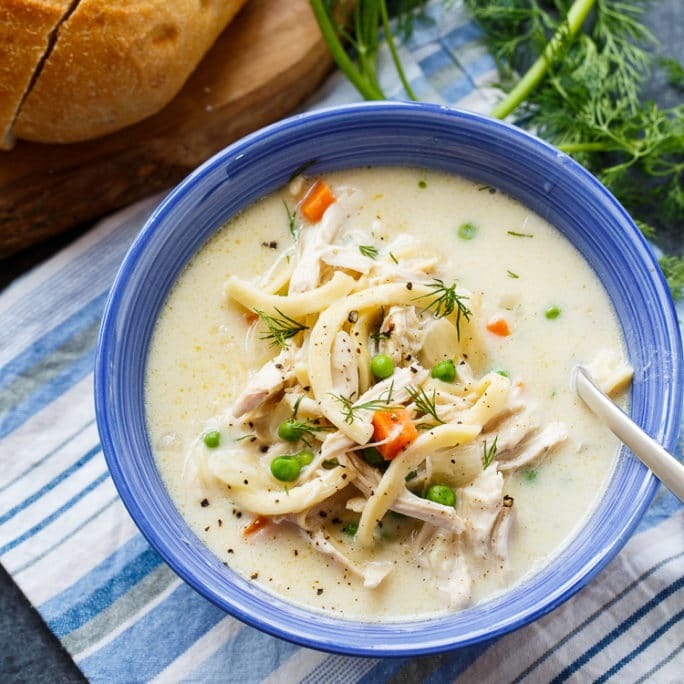 Serve with some crusty bread for a filling and hearty cold weather meal. Crushed red pepper flakes and a jalapeno add plenty of heat to this delicious soup. You can vary the heat by the amount of red pepper flakes you add. A full tablespoon of paprika really flavors this chowder up and adds some smokiness, plus it gives it a pretty reddish hue. 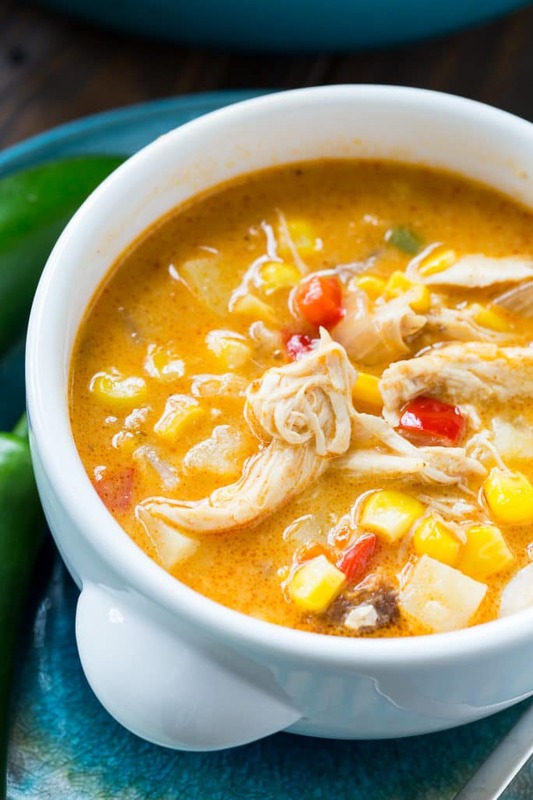 Spicy Chicken and Corn Chowder is thickened by a roux which gives it that thick and hearty chowder texture. I’ve used frozen corn, but fresh or canned would work instead. For convenience, I use the meat off of a rotisserie chicken, but you could also poach 2 or 3 chicken breasts to use. Leftover Thanksgiving turkey could be used instead of chicken for this recipe. 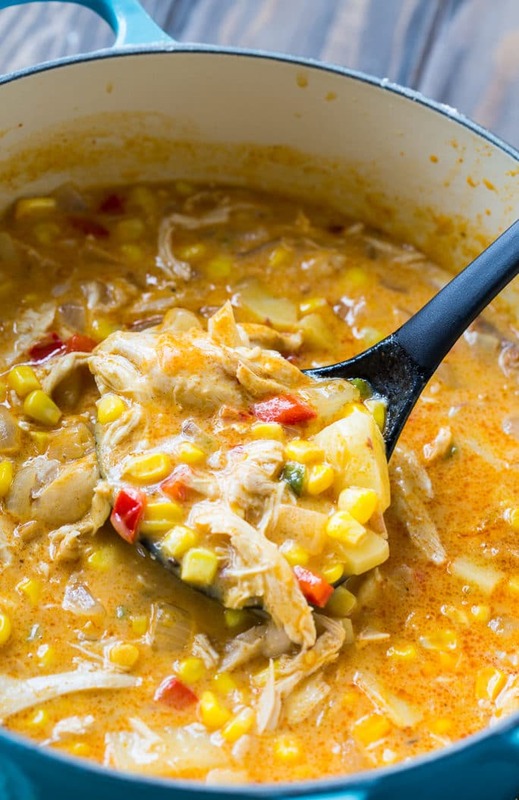 Spicy Chicken and Corn Chowder is loaded with chunks of chicken and lots of corn in a thick cream-based broth that's full of spicy, smoky flavor. In a Dutch oven, heat butter until melted. Add onion, red bell pepper, and jalapeno and cook until soft, about 4 to 5 minutes. Stir in flour and paprika and cook 1 minute. Gradually stir in broth. Add potatoes and bring to a simmer. Simmer until potatoes are tender, about 10 to 12 minutes. Stir in Worcestershire sauce, chicken, corn, red pepper flakes, and salt. Simmer 2 to 3 minutes. Stir in heavy cream and remove from heat. 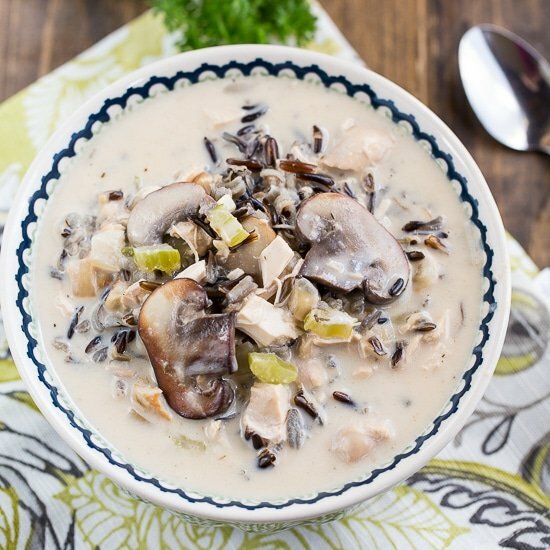 This entry was posted in Soups and Stews and tagged chicken, corn, poultry, Soup. Bookmark the permalink. Della Hughey references a tomato soup recipe. Would you please post again? I went back several pages (20) of your older recipes and I could not find it.